The death of President Shimon Peres highlights the stark difference in leadership between him and Prime Minister Netanyahu -- the difference between a statesman and a demagogue. Peres never hesitated to change his position and embrace policies from the left, right, or center as long as it served the country's interests and advanced peace, which he always placed above party politics. Netanyahu, however, has proved time and again that he is stuck in the past, holding fast to reactionary policies and putting his personal ambitions and ideological bent above the national interest -- inadvertently charting an ominous path for the country he presumably wants to protect. Those who expected nothing new from Prime Minister Netanyahu's speech at the UN General Assembly (UNGA) were not disappointed. Netanyahu displayed his usual arrogant flair and confirmed what is already known, albeit indirectly -- his rejection of creating a Palestinian state. In fact, he only further emphasized Israel's historic and biblical rights to the entire "land of Israel," making the prospect of peace increasingly remote if attainable at all. His "slogan" of supporting two-states is just that -- a slogan. Indeed, his actions on the ground and views on the future disposition of the Palestinians' territory points precisely to the opposite direction. Peres' focus was and remained throughout his life on reaching peace with the Palestinians, knowing that Israel's ultimate security and wellbeing rests on better and progressive relations between Israel and the Palestinians, and ultimately the wider Arab world. Netanyahu, in contrast, has been blinded by his ideological agenda and fails to consider the effect and dire implications of his policies on Israel's future security. 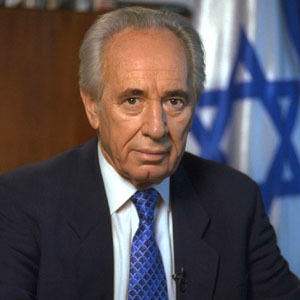 Peres understood that Israel has made tremendous strides and achieved unprecedented success in the defense, technological, economic, medical, and agricultural fields, but he also knew that notwithstanding its impressive achievements, Israel's viability and security rests on reaching out to the rest of the Arab world in peace. Netanyahu boastfully presented Israel at the UNGA as the world's savior, and as if he was the Messiah who brought the Israelis to the Promised Land and turned a barren desert into an oasis of milk and honey. 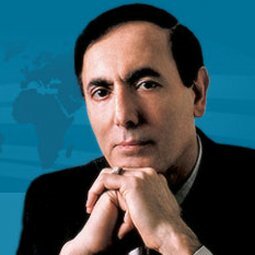 Netanyahu wants to use Israel's formidable power as a tool to subjugate the Palestinians, maintain the occupation, and create irrevocable facts on the ground that would make it impossible for his successor to reverse, thereby preventing the Palestinians from realizing their aspirations for a state. Peres put Israel's survival first by developing a nuclear weapons program, knowing that Israel must possess the ultimate weapons to deter any sworn enemy that threatens the existence of the state -- yet he never considered the Palestinians or any Arab state to fall into that category. Netanyahu's strategy, on the other hand, is shaped by daily events to ensure his personal political survival. He uses the continuation and expansion of the settlement project ostensibly to ensure Israel's national security, when in reality the Palestinians cannot and will never pose an existential threat to Israel. Peres leaves a legacy, however controversial, as a statesman who deservedly earned his Nobel Peace Prize by forging the Oslo Accords in 1993, which also led to the Israeli-Jordanian peace agreement two years later that Israel considers the bedrock of its security on its western front. Conversely, after becoming Prime Minister in 1996 Netanyahu began the systematic destruction of the Oslo Accords, ignoring the implications of his reckless actions and charting the path that led to continuing violence that eventually culminated in the Second Intifada. Peres realized that given Israel's size and volatile neighborhood, it must become an active and supportive member of the international community to be embraced by all and respected for the strong moral tenants on which the country was founded.